Learn about PaySimple’s online billing service for businesses. Includes info on PaySimple, free trials, pricing, customer reviews, and FAQs. PaySimple is an online billing platform for businesses. 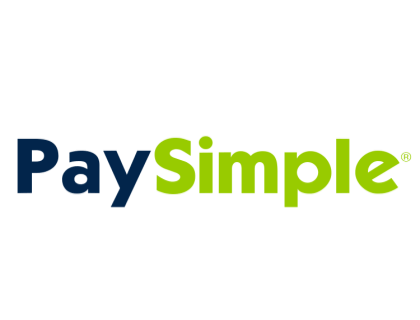 PaySimple’s solutions include service point of sale, credit card and e-check processing, and recurring billing. Businesses can use PaySimple to streamline billing and invoicing processes. PaySimple’s pricing is determined by the number of transactions processed. The fees are 2.49% for each credit card transaction and $0.60 + 0.10% for each ACH/echeck processed. The customer management plan is priced at $49.95 per month. Pros: Great dashboard and very easy to use. Cons: Would like to see Quickbooks integration. Bottomline: Fantastic solution that securely manages billing processes. Is there a PaySimple free trial? A free trial is available here. You will need to furnish some personal and business details. No credit card is required. Where can I find the PaySimple login? You can go to www.paysimple.com and find the “Login” at the top right corner of the homepage. What are some PaySimple alternatives? If you have an online business and are looking for a merchant account, I highly recommend Paysimple. What's different about them is first, there's no chargebacks. Second, if you want to ask your customers for their credit card information and type it in yourself, you can. It doesn't get more secure than that. You see their name, address, and know one of their credit cards. Still be sure to get a telephone number to confirm the purchase. They cost about the same as a regular merchant account, so this is for businesses only. However, they are considering launching a free payment solution for regular users soon. Imagine that, we might have a Paypal killer. If you've been in this business, you've suffered losses from fraud and you're just looking for a good solution. Here's one I can recommend. We've used PaySimple for our MSP for over 5 years. End user interface isn't great for accepting one-time payments but it works. Recurring payments are easy to setup and manually running transactions is easy. You might need to verify some additional information if you're processing high-dollar amounts.That being said ReRunApp looks interesting. PaySimple is another good one for Startups. They have a great API, can handle recurring billing, stores the CC info and are good about letting you take the data with you if you wanted to go to another service. Wufoo is probably going to move over to them from Authorize.net (which is also a decent service that just implemented recurring billing). I'm run a advertising agency where I bill existing clients a dynamic value every month. I transitioned from PayPal to PaySimple so I could store all my clients information there and bill them their respective balance at the end of the month. It's a decent platform but quite expensive. They sounded really nice on paper, but after calculating all the fees - I'm paying over a 5.5% fee per transaction.